Did the Oilers make the Right Choice in selecting Taylor Hall? In the summer of 2010, the Edmonton Oilers held the first overall pick in the NHL draft, and were set to chose a building block for their future going forward. There wasn’t a runaway number one prospect, and scouts felt two players were both worthy to be selected first. The parity at the top spawned the marketing campaign of Taylor vs. Tyler in the weeks leading up to the draft. The Oilers didn’t tip their hand at who they were leaning towards and thus the debate wore on. In the 2009-10 OHL season, Taylor Hall and Tyler Seguin finished tied in league scoring with 106 points each. Hall did it in fewer games, missing time while playing for Canada in the World Junior Hockey Championships. Seguin conversely didn’t make the final cut for Canada. Hall had more assists that year, well Seguin had the edge in goals. Hall led his Windsor Spitfires to a Memorial Cup championship in 2010, in fact it was the second consecutive year his team won. That caused him to take a slight edge over Seguin in the final central scouting rankings, though it still wasn’t a lock. 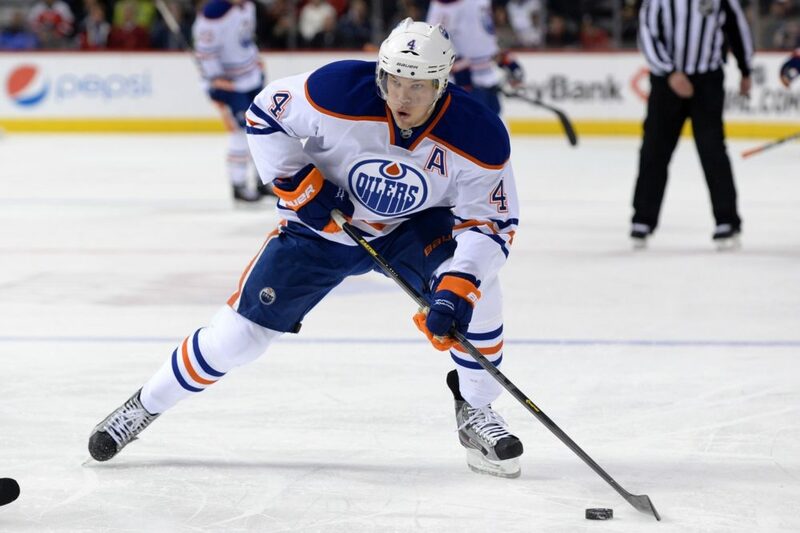 The Oilers ultimately decided to go with Taylor Hall with the first overall choice. In an interesting twist of fate, the Boston Bruins held the second overall pick thanks to a trade with the Toronto Maple Leafs, and chose Seguin at number two. The Bruins went on to win the Stanley Cup the following season. Now Seguin obviously was the luckiest prospect in the world. He won the Cup as a rookie, leading some to believe that perhaps the Oilers should have chosen him instead. (Edmonton finished dead last in the league that year). But make no mistake: Seguin had very little to do with the Bruins championship. This is not a slight on Tyler at all. He’s a very talented player. But he had three goals and seven points in 13 playoff games en route to his first Stanley Cup. He was a healthy scratch for much of the postseason and got into the line-up thanks to injury. There’s a pretty good chance the Bruins would have won the Cup with Taylor Hall on their roster, or even with neither of them. This season, as Hall watches the playoffs from his sofa, again not having tasted the NHL postseason, Tyler Seguin’s team is three wins away from their second championship in three years. Seguin, at least so far, as been a non-factor for the Bruins. He has just one goal so far this postseason, though his assist on Boston’s winning goal in game two is hopefully a sign that his drought is coming to an end. But despite a high level of skill, Seguin once again has little to do with his team’s success. Now it’s still really early to judge with player will be better. They’re so young. But imagine the Oilers with Seguin instead of Hall. Would/could he have been the team’s leading scorer? Hall scored 16 goals and 50 points in 45 games in this lock-out shortened season. 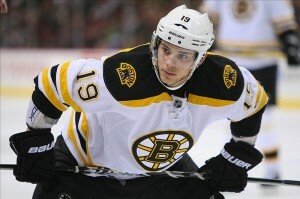 Seguin had a breakout season last year, leading the Bruins in scoring with 29 goals and 67 points. This past year he had the same amount of goals as Hall with 16, but less points with 32 while playing all 48 games. Their career stats are close. But at the moment Hall’s are better. He has 145 points in 171 NHL games, while Seguin has 121 in 203 games played. Seguin has been more durable while Hall has suffered some injury trouble. Seguin isn’t the best player on is team. He plays with the likes of Milan Lucic, Patrice Bergeron, Zdeno Chara and David Krejci. Conversely, Hall is probably his team’s best player. Would he be if he was a member of the Bruins? What would happen if he were playing with a centerman like Bergeron? It’s hard to suggest one player is better than the other, but at this point, it looks like Taylor Hall may be it. Seguin has got the skill, and last year he looked like he was becoming a franchise player, but arguably Hall already is one. At the end of their careers, Seguin could wind up with better stats and more awards. He has the goods to be the better player if he had more consistency. But at least for now, three years later, and Stanley Cup luck aside, the Oilers made the right choice for their team and their current situation. It’s Taylor.